If you’ve heard yourself saying things like, “What’s the matter with you? 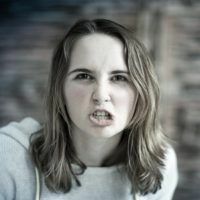 Why are doing this to me?” or “You’re making me crazy,” you’re probably taking your child’s disrespectful behavior personally. And when you fall into that trap, you begin to assume the worst of your child. You start to believe he has malicious intentions when he disobeys you, even when he doesn’t. I think it’s important to stress that everyone personalizes things from time to time, and we all do it for different reasons. Who hasn’t gotten angry at another driver after being cut off in traffic? At certain times, any parent can overreact and take things too personally. And frankly, if your kid is standing there calling you names, it would be hard for anyone not to take that personally. The truth is that your child probably broke that rule because he wanted to stay out with his friends. A more effective way to deal with this situation is to focus on his behavior, not his—or your—feelings. Many parents say, “I don’t think my child cares about my feelings at all.” And you may be right! Teens have not yet developed a mature sense of empathy, so appealing to it often won’t work. To expect your child to understand and care about your feelings when he disobeys you is also a sign that you’re over–personalizing his behavior. And by doing so, you are setting yourself up to be frustrated. When parents take things very personally, they overreact by saying abusive things, giving severe punishments or even physically hurting their children. Some parents may become frightened by their reactions and pull out of disciplining altogether—leaving this job to their spouse or no one at all. 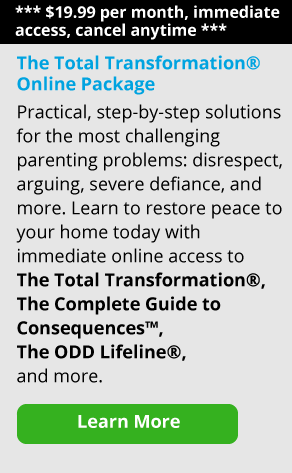 Being out of control scares them so much that it often results in their having minimal interaction with their children. If your child pushes your buttons, yells or calls you names, it’s hard not to personalize it. What should you do or say? Below are some proven techniques to try. If you have been personalizing your child’s behavior and you want to make some changes, the absolute best thing to do first is breathe deeply several times. Focusing on your breath can distract you from your emotions. It also lets you pause for 10 seconds so you’ll make a more appropriate remark. This small action lets some of the anger subside and gives you a much better chance to respond thoughtfully rather than to react. And then leave the room and disconnect. Be sure to speak in as calm and even a tone as you can, and be serious when you say it. Remember that you’re dealing with somebody who is less mature and less capable than you are. Your children are going to make mistakes. They are going to be impulsive and say things they shouldn’t say—they’re kids. Just remember that you’re the mature one. The other thing to remind yourself is that it isn’t always about you—even if they are screaming “I hate you!” The behavior that pushes your buttons might be something your child is struggling with or needs some limits set on. So, even if the inappropriate behavior is directed at you, it’s not about you. It’s about them. Focus on your child’s behavior and not the emotions of the situation. Focus your thoughts and actions on the following question: “What behavior would I like to see changed?” Put your energy into changing the behavior. I am a mother myself, and I understand that sometimes kids do push your buttons on purpose to try to get to you. But rather than reacting to their attempts to derail you, focus on the behavior at hand and give consequences for it. This allows you to start working toward real change. By the way, there’s a misconception that if a consequence isn’t given immediately after your child misbehaves, the teaching moment has been lost. But that’s not true. You can go back and talk to your child later. And sometimes, it’s better to do that when everyone is calm. The problem–solving piece in all of this is the question “What do I want my child to learn?” This is often a better question than “What do I want my child to do?” This is especially true when you feel the tension building. Just step back and ask “What do I want my kid to learn?” I know that it’s not always easy to do this. But it’s like anything else—the more you practice the easier it gets. And don’t give up just because sometimes you slip and let your emotions take over. No one is perfect all the time and that’s okay. Identify what triggers you. Is it when your child swears, slams the door, or curses at you? Try to get an idea of what your hot buttons are. Awareness is half of the battle. The other half is having a plan of what you’ll do when your buttons are pushed. It’s normal to be offended and have a huge emotional response when your child calls you names or swears at you. And when you’re triggered, you need to use the technique of taking a breath, telling your child you don’t like what they’re saying, and leaving the room. Above all, you don’t want to respond in kind. Again, improving behavior is all about focusing on the behavior and not on the emotions of the moment. When you personalize and react to what your child is saying, it’s easy to get into a tug–of–war with them. If you are in a tug-of-war, just let go of the rope. Think about the skills you want your child to have as he matures. I think it’s important for kids to learn how to be responsible and to be accountable for their actions. You also want them to learn how to think for themselves and make good choices. In the end, we want our kids to be independent thinkers who are able to function as healthy adults in society. Many parents worry that their kids don’t love them. The truth is, when your child yells at you, calls you names and says, “I hate you,” in that moment he is angry and probably doesn’t like you very much. That’s to be expected. But that doesn’t mean that’s the way he feels about you all the time. When you set boundaries on your child, he won’t always like it. But if you avoid setting limits and instead try to be your child’s friend, you won’t be an effective parent because you won’t be able to teach him what he needs to learn as he grows up. When people are angry at one another, it’s normal to dislike each other in that moment. When you’re angry at your spouse, you might say something hurtful and regret it later. It’s not always the best response, yet most of us do it from time to time. But it doesn’t mean that the feelings will last forever. In fact, you can teach your child to let go of the anger. How? By being the example, by letting your anger go and focusing on the behavior and not the feelings. It’s important to understand that kids are in their own world. They’re out there learning, doing, hanging out with friends, being propelled forward into the future. Your child loves you, but you’re not everything. And the older your child gets, the less he needs you. As parents, we know that it’s not the same for us. Our love for our children is often all-encompassing. As hard as it is, I think you have to be whole in yourself and have a strong enough ego to let your child do things on his own. Your child needs to leave you eventually. Parenting has always been a balance between thinking and feeling. Both are very important. But don’t let your feelings drive your actions. Don’t get angry because your kid doesn’t feel like doing his homework. Instead, focus on teaching your child to do his homework even though he doesn’t feel like it. That’s a useful life skill. That’s what being a mature adult is all about. Focus on the lesson to be learned, not the emotion of the moment. I always tell parents not to feel like they have failed if they lose it and get angry—because sometimes you will get angry. There is no such thing as a perfect parent—and you don’t have to be perfect to be a good parent.